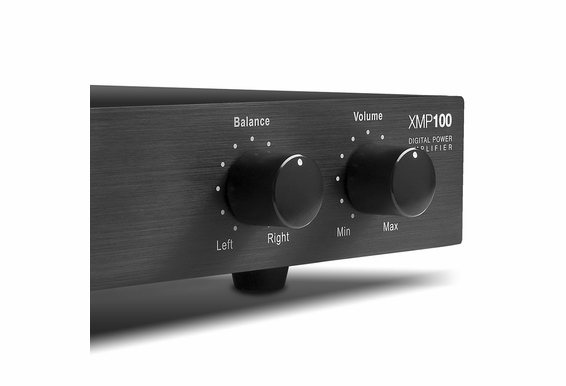 The XMP100 is the digital Class D version of our popular AMP 120 amplifier. This amp will also power Dolby Surround Sound systems and enhance the power of OSD outdoor speakers. Automatic source switching enables users to connect more than one source to the amp, so, for instance, you could use it to power both a DVD player and an iPod. The XMP100 has the ability to automatically switch sources, as well, if you choose to go from listening to music on your iPod to watching a flick on a DVD player. The power amplifier has 75 watts RMS per channel and bridgeable outputs for 160 watts RMS. An input of 1.4 volts is needed to reach full output and the signal to noise ratio is 107dB (A-weighted). 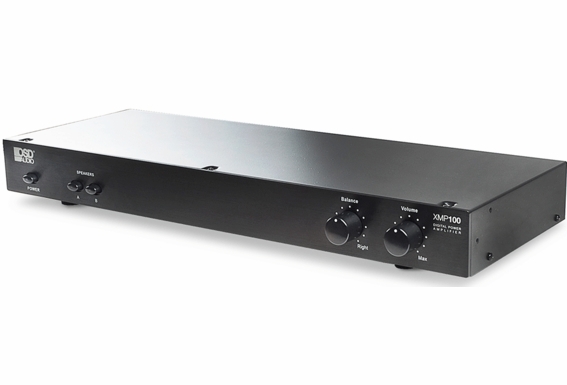 The Dual Source 2-Channel Stereo Amplifier OSD-AMP120 has front panel-mounted volume and balance knobs and comes with a two-year warranty. Connecting Your Smartphone/ Portable Music Device is Easy! A great feature of the XMP100 is the ability to connect your smartphone, iPod, or other portable music device. 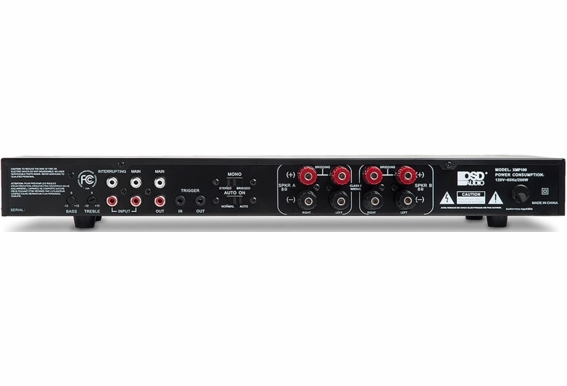 The XMP100 includes two RCA signal level inputs marked as red for right and white for left. All you need to do is purchase our inexpensive RCA to mini cable (see RCA audio cables under the audio/video cables tab). The mini 3.5 connector is plugged into the headphone output of your device then the RCAs are connected to one of the inputs of the XMP100. It’s that easy! Dimensions (W x H x D): 16.5" x 2.15" x 7.65"
Will this amplifier work with two passive subwoofers? Hi, Would it be possible to drive in bridged mode 4x 8 ohms speakers connected in parallel. Each speaker would be connected to a SVC205 (In-Wall Impedance Matching Volume Control) where the switch would be set to 4x. According to my calculation, the resulting impedance seen by the amp would be 8 ohms. Is that OK ? Other small question, is it OK to connect only 1 speaker to the SVC205 (meaning that nothing connected to one of the channel). I believe yes but just want to be sure. Is it possible to connect a powered subwoofer to this amp? If so, how would I accomplish that? 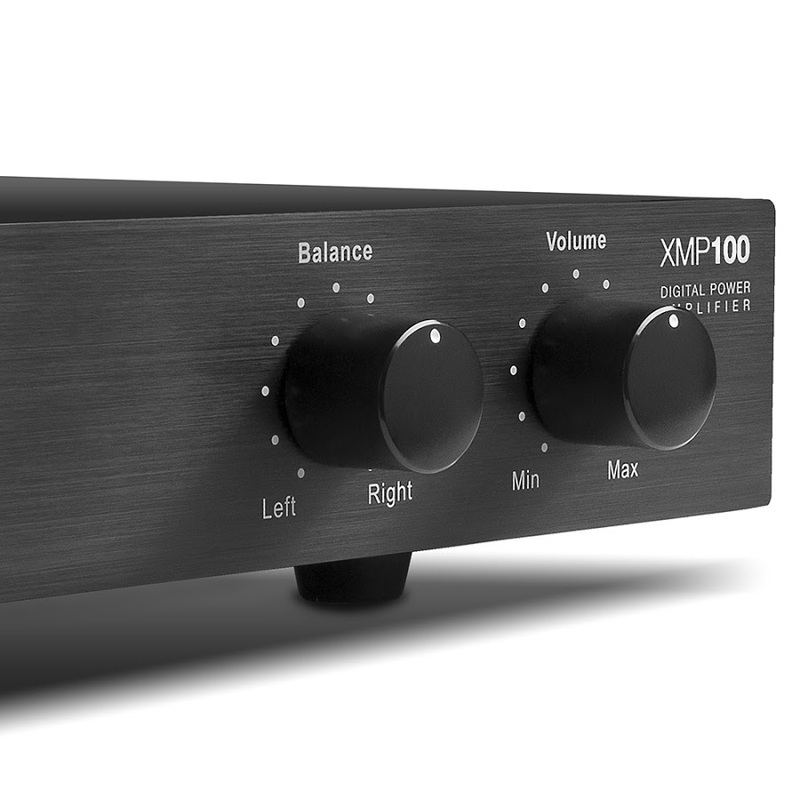 I just purchased the xmp100 amplifier and I am very happy with the product. I plan to purchase the same unit because I want to try the bridge option. I want to play the right channel on one amp and the left channel on the other amp. Both amps are to be in bridged mode. Is this configuration possible? If it is , what kind of cables are needed to connect the pre-amp to the 2 bridged xmp100s? I am looking at adding this amp between my Samsung TV to power up my AP640 speakers I purchased from you previously. Will it work and what will it take? Could I install this outside under a covered patio? It would get hot and cold with weather, but stay dry. I have power out here, but no speaker wire run. So wondering if I can just mount this next to speakers with a chromecast audio for the source. I use the xmp100 to power two OSD rock speakers in my back yard. I'm having the same problem as Bryan from Merrimack, NH has when using a sonos connect as input to my xmp100 amp and using the auto-on/off feature. I'm thinking I might want to set up a manual 12-volt switch I can use from my patio to power the amp on and off. Do you have a product that meets this need? If not, can you point me to somewhere I can find one? I would like to use one of these amps in bridged mode to feed a Niles SSVC-6 speaker switch which has 6 pairs (12 speakers) of ceiling mounted speakers already installed. Since the Niles switch should present an 8 ohm load to the XMP100, would I be able to safely bridge both channels and then feed the two bridged speaker outputs into the left and right speaker inputs of the Niles switch? Is is amp rack mountable and does this come with rack mounts? Do you suggest using OVC 300 Outdoor Volume Control for A and B set of speakers? I have a pool area and a pavilion area and would love to have the RX640 150W Rock Speakers by the pool. I will have AP490 4" Outdoor Patio Speakers Pair at the pavilion. I want to be able to have the 2 areas on 2 separate volume controls. Looking for a receiver to run two sets of speaker pairs for a large screened porch (about 19' x 40'). 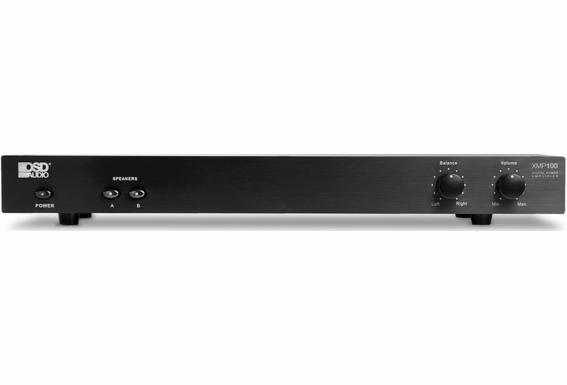 I was thinking of this receiver and two pairs of the ICE600WRS speakers. The two inputs on the receiver would be a TV and a bluetooth transmitter. Any issues with those pairings? I'm looking to power zone 2 on my home audio system, which includes 4 of your OSD outdoor speakers. Would you recommend this unit to power the speakers? I need to replace a Bose lifestyle 20 system that died. We have Bose outdoor speakers and bookshelf indoor speakers. Is this a good replacement system? Can you show what bridged wiring looks like for the OS SUB200 with OS525 Sat setup off the back of this amp? Does it come with ears for rack mounting? Will this amp work for two, polk atrium 8 speakers ? 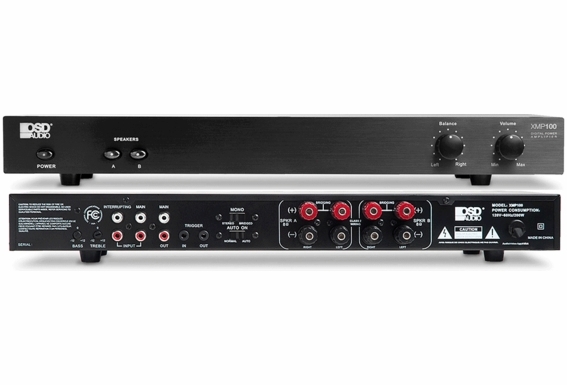 Can I add this amp to an Onkyo TX-SR313? The manual says to connect left and right inputs in bridged mode. I am only running one side into each amp so can I plug one wire into either side and get enough input voltage for full power or do I need to use a splitter to plug into both sides? Auto-on does not seem to be working on my unit. I have a Sonos CONNECT connected to the MAIN input of the amp, confirmed the auto on mode is set to AUTO, and even after several days of not using the Connect, my amp's power light remains green. There is no change in power button light color when I start playing music. I really don't want an amp on full-time when it only gets a few hours of use a week. Is this a flaw in the unit or user error? Can this be bridged and drive a 4ohm load? I don't see that option specified in the manual. If not, is there another OSD product that can do it? Ideally up to 250W. With the A/B selector, does this amp work to power both at the same time? Or just A (or) B? The manual on your website doesn't specify. Could this power both a old Bose Series IV and two osd AP840s? The audio source will be and Apple TV with small line amp. I typically run this off a 2x100w Sony 2xchannel receiver. Does this amp have auto power on/off? Can I drive 2 pairs (4 total) of speakers with this? Specifically your ICE800WRS speakers. I don't see the ohm rating of those speakers or the minimum ohm rating of this amp. thanks!